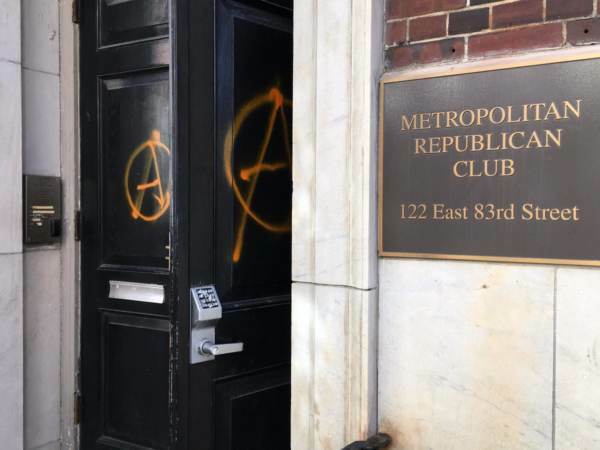 The far left activists spray painted the Antifa symbol on the doors to the Metropolitan Republican Club. New York Republican Chairman Ed Cox, joined by Manhattan GOP Chairwoman A.J. 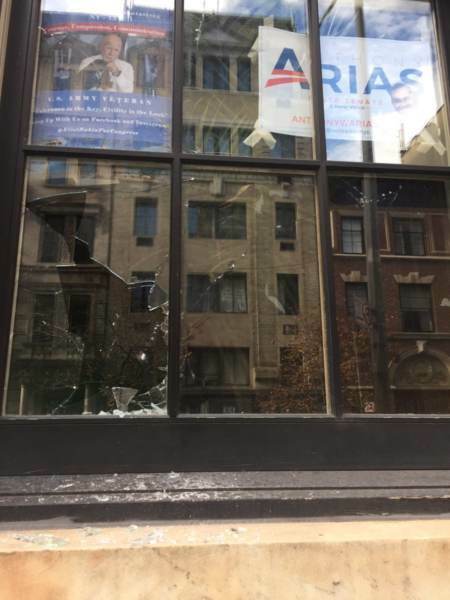 Catsimatidis and others will condemn the crimes and call on Democrats to cease inciting these attacks.